Additive manufacturing encourages researchers to develop new and innovative materials. These new materials offer exciting new opportunities to produce products with properties that could otherwise not be combined. 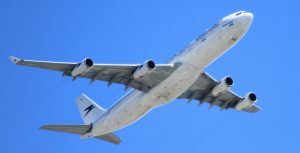 One great example of a recent development in AM materials research is Scalmalloy, a high-strength metal powder alloy designed specifically with the aerospace industry in mind. But what is Scalmalloy, and what are the benefits it offers manufacturers? Scalmalloy is an aluminium-magnesium-scandium powder alloy designed for metal 3D printing, namely with Selective Laser Melting (SLM) or Direct Metal Laser Sintering (DMLS) technologies, both of which are powder-bed metal 3D printing processes. 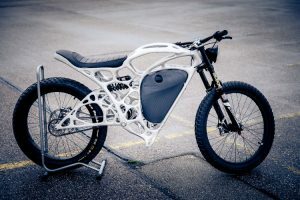 2016 with its Light Rider, a 3D-printed Scalmalloy motorcycle, showcasing the light-weighting applications that can be achieved when additive technologies are combined with advanced materials and tools like topology optimisation and generative design. Scalmalloy offers benefits few metal AM materials can boast. Its material properties combine the lightness of aluminium (AlSi10Mg) with almost the same specific strength and ductility of titanium (Ti6Al4V). 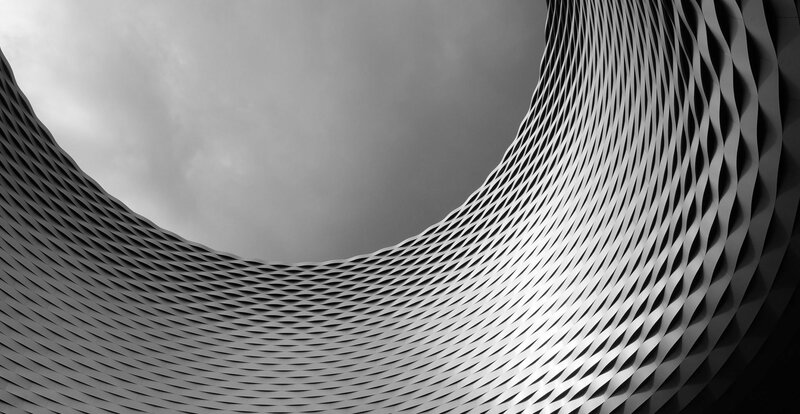 Compared to other aluminium alloys for AM, Scalmalloy offers a unique level of corrosion resistance and a highly stable microstructure at elevated temperature, which makes it well-suited for a range of high-performance applications. According to APWorks, the performance of 3D-printed Scalmalloy parts can rival that of aluminium products produced using conventional methods. What makes Scalmalloy a perfect candidate for aerospace? The aerospace industry has long been a pioneer of 3D printing technology and materials. It’s no surprise, then, that APWorks developed its Scalmalloy material with the aerospace industry in mind. A case in point: scalmalloy offers the lowest buy-to-fly ratio, a particular boon for the aerospace industry. In aviation terms, the buy-to-fly ratio refers to the ratio between the raw material used for a part and the weight of the part itself. The smaller this ratio, the less material that is wasted, resulting in better material efficiency. The material also has a high strength to weight ratio. For the aerospace industry, this means that Scalmalloy is ideal for use with topology optimisation tools. Topology optimisation helps to create lightweight parts by optimising the geometry and material distribution of part, without comprising the part’s strength. As a general rule, aircraft that is equipped with lighter parts consume less fuel — which is why aircraft manufacturers increasingly strive for weight reduction. Scalmalloy certainly fits this key criterion. It’s not just within the aerospace industry that Scalmalloy can bring technological and commercial benefit — industries like automotive and applications such as robotics are just a few examples of the excellent use cases for Scalmalloy. The prototype of the front-end structure for the Volkswagen Caddy successfully demonstrates the possibilities of the material for the automotive industry. The collaborative 3i-PRINT project of Altair, APWORKS, csi entwicklungstechnik, EOS GmbH, GERG and Heraeus aimed to create a functionally integrated, lightweight load-bearing structure, which included various elements for heat management. The combination of generative design, additive manufacturing and Scalmalloyl took the modification of the front-end module to a level that traditional manufacturing methods were unable to achieve. We’ve seen the rapid surge in metal 3D printing over the last few years, with metal AM systems becoming ever faster and more reliable. However, it’s also fair to say that the ability of metal 3D printing to solve key manufacturing challenges and create value is also defined by a large extent by the range of available materials. With the development of new, enhanced materials for metal 3D printing, the cost-effectiveness and efficiency of the technology for industrial applications can only continue to improve.